Is Ben Bernanke's time as Fed Chairmen coming to an end? The late spring-summer period has often been the time when sitting Fed chairman have been nominated for additional terms, so Ben Bernanke might be wondering if it's nearing the time he learns his fate. He may also be thinking that the re-nomination of his predecessors didn’t drag on until close to the end of their terms, even when it involved the choice of a new president, never mind one from the opposing political party. Ironically enough, however, such history may not be much of a guide for this history-making Fed boss, whose first four-year term ends Jan. 31, 2010. That assessment is all the more striking because many economists say Bernanke’s performance has improved—some say vastly—since he appeared caught off-guard by the onset of subprime meltdown and has not had a misstep to his name during the Obama administration. But the over-used cliché these days about unchartered waters has both economic and political implications for Bernanke’s future employment. If a decision had to be made at this time, many Wall Street economists say based on performance alone, Bernanke deserves another chance. “Six months ago, the odds were no better than 50/50,” says veteran Fed watcher David Jones of DMJ Advisors. “I would raise the odds significanty based on how well he ahs innovated in this crisis. The odds should be 80/20." Politics and a shaky economy, that is. Fed chairmen, as much as Presidential candidates, can fall victim to that. That was the case with George H.W. Bush in 1992 and John McCain in 2008. It was also the premature exit of Fed Chairman G. William Miller, whom President Jimmy Carter replaced with Paul Volker in the summer of 1979. Speculation about the tenuousness of Bernanke’s future has been unusually high since Obama won the election. First off, Bernanke is thought to be a Republican, which doesn’t enhance his chances of getting the nod from a Democratic president. That idea may have been partly supported by the fact that Obama went months without even acknowledging the Fed boss by name, never mind commenting on his performance. More importantly, there were the early rumors that former Treasury Secretary Lawrence Summers, who came aboard the Obama team as Director of the National Economic Council, was the de facto heir apparent, and has been waiting in the wings ever since. If so, that gives the President even more of an opportunity to wait as long as he sees fit. Much, if not all, of the uncertainly about a replacement candidate has been removed—circumstances that Presidents Bush, Clinton and Bush did not enjoy and may have prompted all of them to recommit to Greenspan relatively early on. Though most economists agree that the economy is on the mend, timing will be key. Jones and others think the President needs to make a decision by the end of the summer, which is four months before Bernanke’s term ends. That decision may be complicated if there are still questions about the economic recovery, as well as the President’s massive fiscal stimulus package. Though enough economists think growth will resume sometime in the third quarter, it may still be debatable in the fourth quarter. Even still, Bernanke and the FOMC may be facing a tough decision about raising interest rates by then. 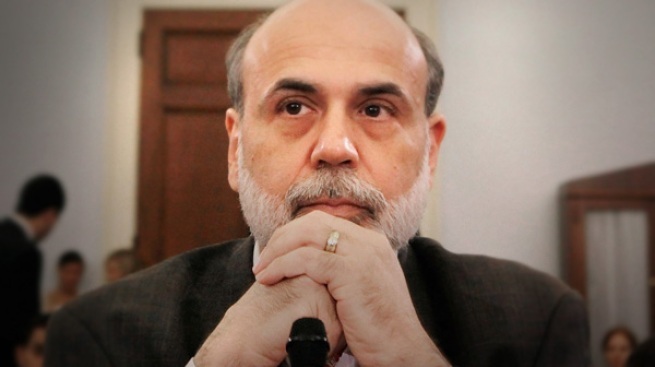 So, Bernanke—not anyone Obama named to his economic team—would be the fall guy. Of course, the longer it takes, the bigger the gamble. “If he’s not going to be reappointed, do you want to see him as a lame duck? There’s a lot to be lost there,” says White.